When Life Gets Messy, #HugTheMess! It's been a crazy week, with all kinds of intense happenings here in our little Florida abode. From the loss of our sweet, spunky poodle just a few short days ago to family (from all over the country) visiting us during the same week, we have all had a lot going on! We had and still have a lot going on--I was overjoyed once we finally had a moment to relax. 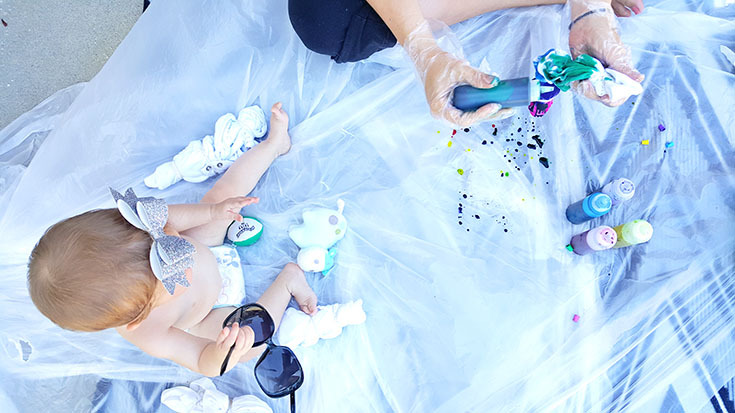 I knew making a mess was a must for Delainey and I, not just because she's a cute little terror that loves getting messy, but also because I knew I needed to let out some creativeness. When feelings get messy, I'm a firm believer that I should let that all out by getting my hands a little messy... and that's definitely something I want to teach Delainey! 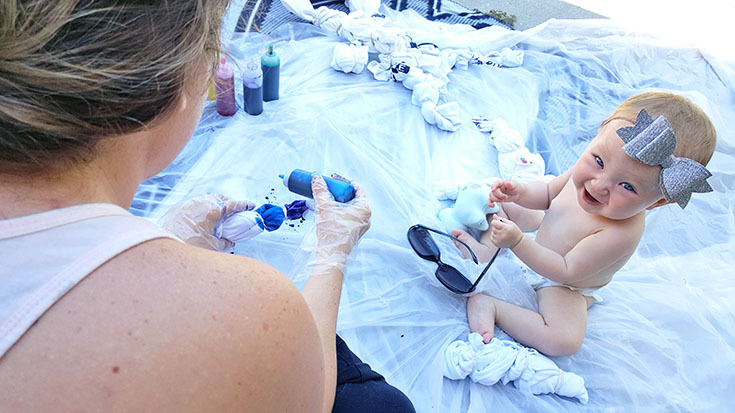 Productively expressing her feelings will be a common happening in our house and I can't wait to sculpt clay and finger paint with my sweet girl, but this time we decided tie dying was the way to go. But first things first, prior to getting messy, I had to make sure D was out of her adorable clothes and ready to be around some serious mess. 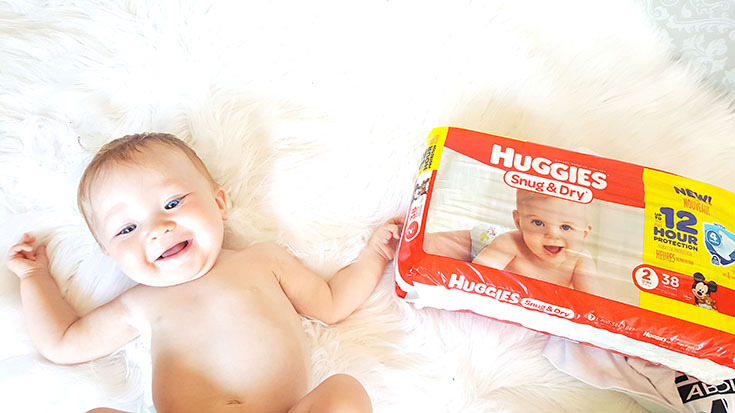 A diaper was her only attire for our fun little project and I wanted something reliable and comfortable so we could enjoy ourselves without worrying about D's bum - that's why I chose Huggies Snug & Dry. The perfect diaper for all kinds of activities, especially messy ones! With increased absorbency, I knew we wouldn't have a leaky problem mid-project and that was an absolute necessity, especially because I had a case of rainbow hands by the end of the whole ordeal. With that said, we had a blast getting messy. Delainey talked me through it all while I dyed all the pretties! Side note: Instead of going out and buying a bunch of new onesies and tees, I used a handful of stained onesies we already had and made them adorable again. It's all about hugging the mess after all. 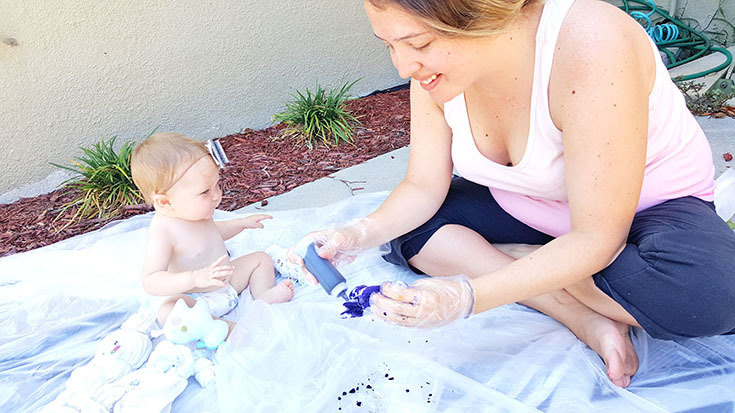 After our tie dye adventure was completed, I had to clean up quick because with an 8 month old, you have to do everything pretty speedy. 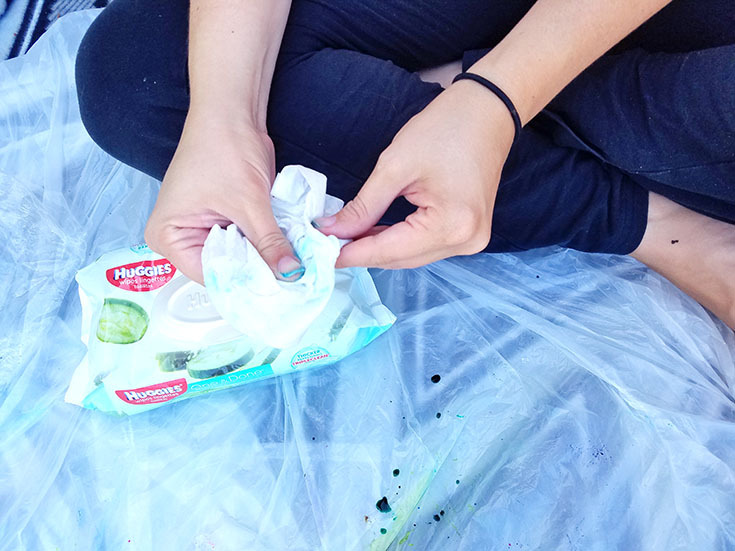 I immediately grabbed for a One & Done wipe from Huggies and, as always, only one wipe came out - allowing me to speedily wipe off some of the dye and pick up my sweet girl quick! We all know having only one wipe come out of the package is a must when you are in a "messy situation", so I was more than pleased about this fact! Do you have a mess you need to clean up? Maybe a little some booty wears diapers in your house? 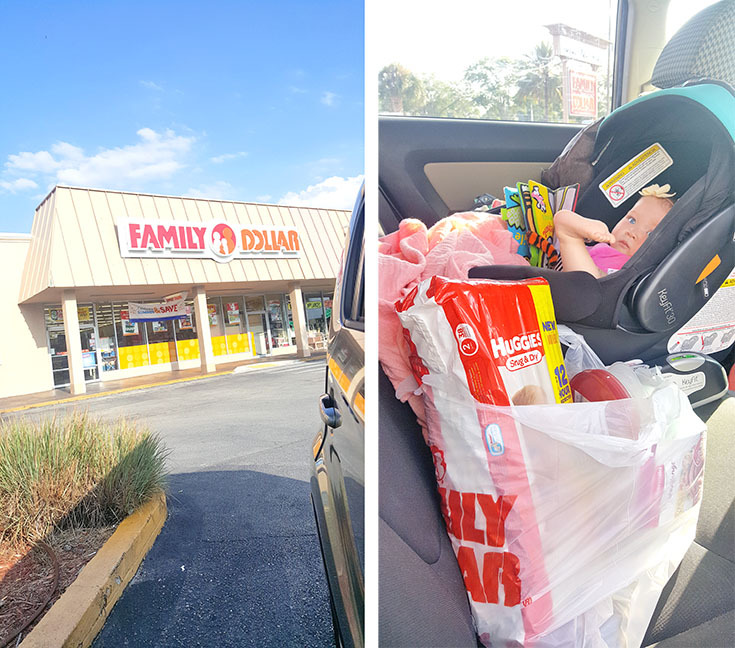 I suggest you check out the amazing deals on Huggies at Family Dollar, "clip" a few of their coupons for your next visit - like one for $2 off your diaper purchase, and then breathe easy knowing you chose a reliable diaper AND you get to save a little cash while you are at it! Want to see our final product? I'll be sharing it on social media today! Keep your eye out for some pretty tie dye and don't forget to "snip" some Family Dollar coupons for your next visit!